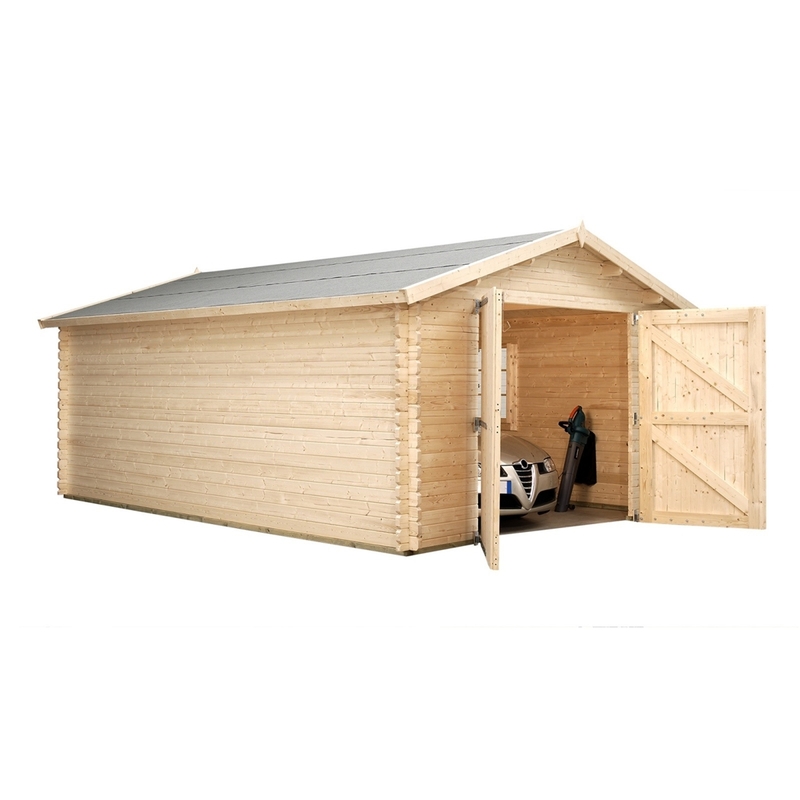 The Garage is the ideal solution to you problems for more space. 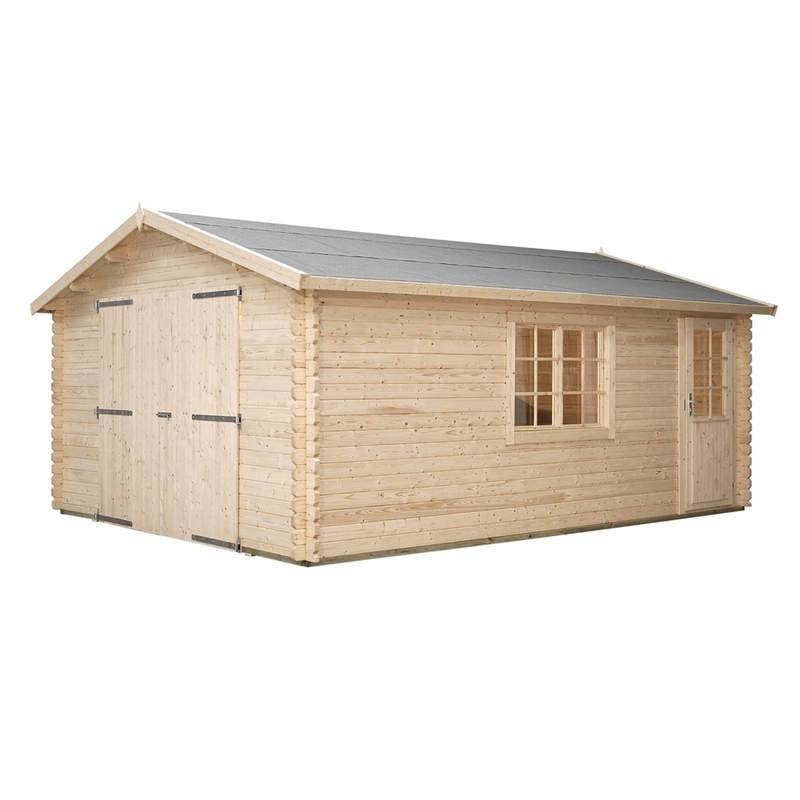 The Discovery look gives this log cabin a great finish and stylish design for any garden. 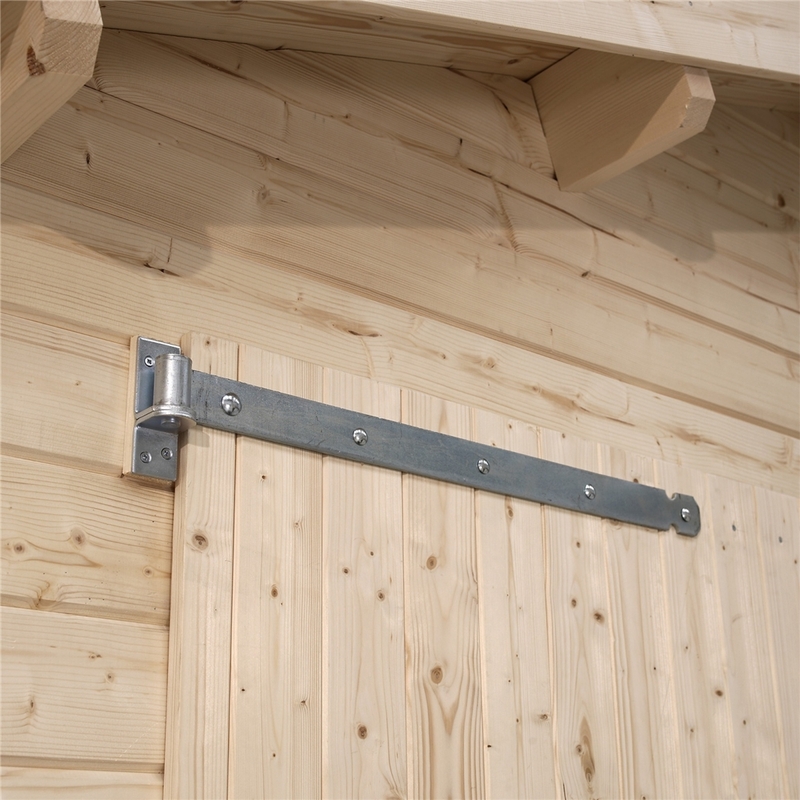 The Garage is constructed from quality top wood which is 44mm thick (34mm available) and has double tongue and groove joints to give the chalet a wind tight fit. 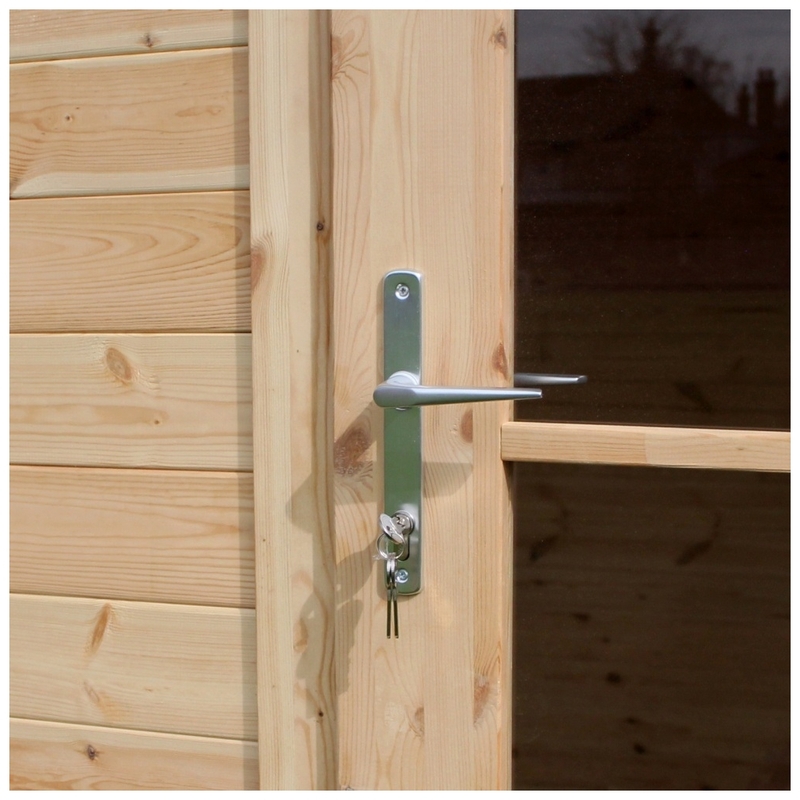 The single door is laminated and comes with a handle and lock and glazed with single sheet glass. 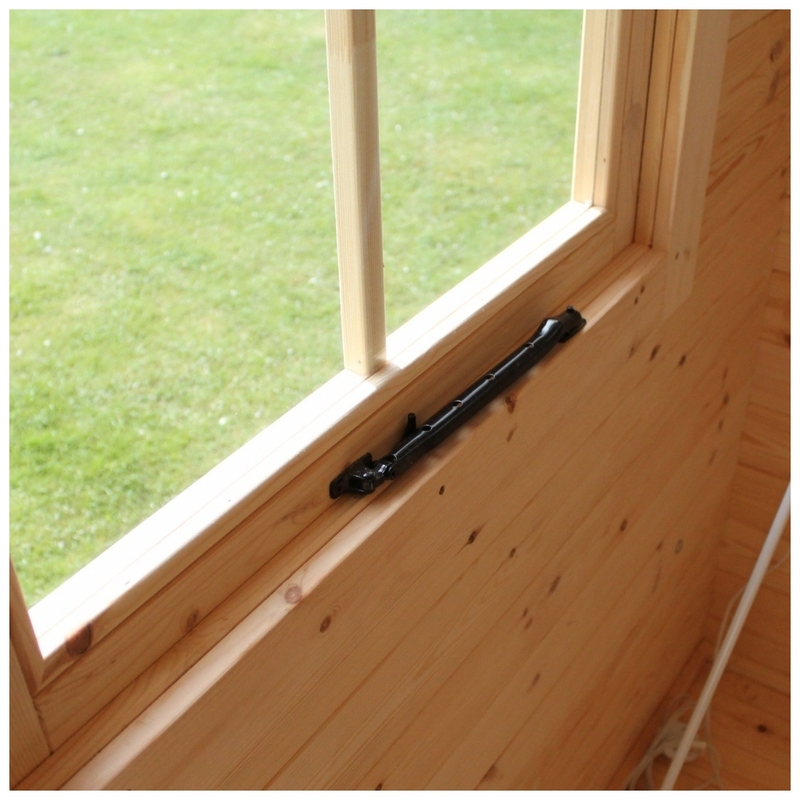 The opening window is also glazed with a single glass sheet (available with double glazing). The ceiling is constructed using 18mm thick quality softwood. 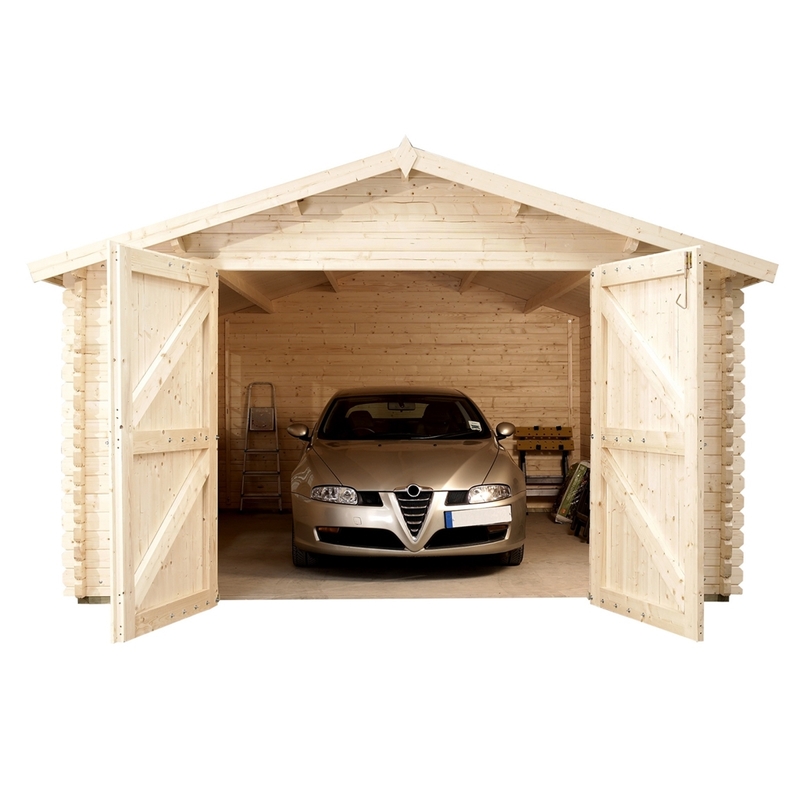 The Garage is delivered untreated offering you the opportunity to protect and decorate it to your own personal taste. 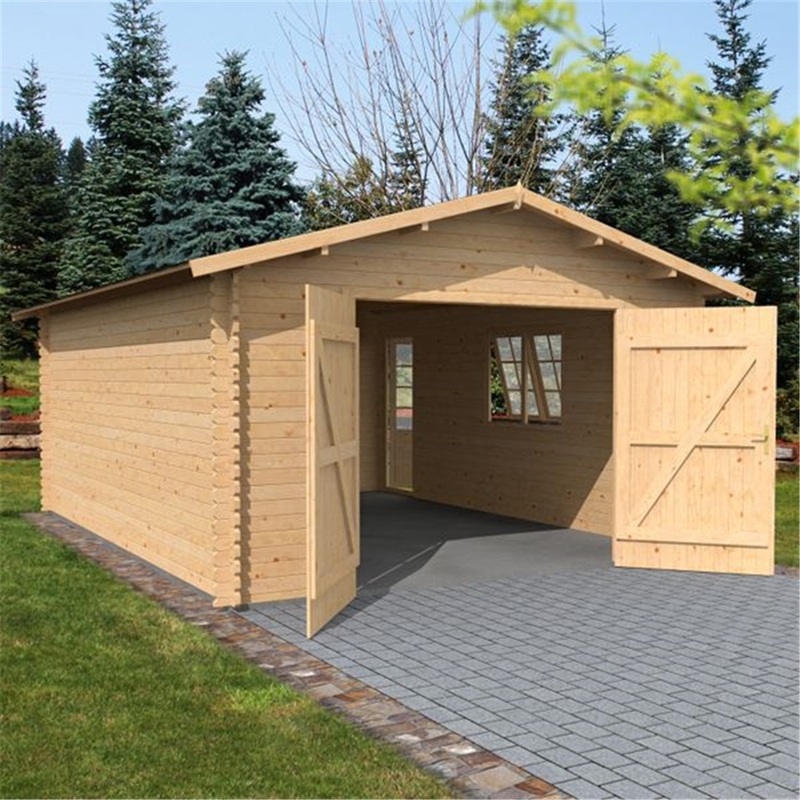 Untreated buildings do naturally grey with age within around 12 months; therefore we recommend that you treat the cabin during construction with a high quality preservative and at regular intervals according to the preservative manufacturer's instructions. The Garage is delivered with temporary packaging to protect it during transportation. 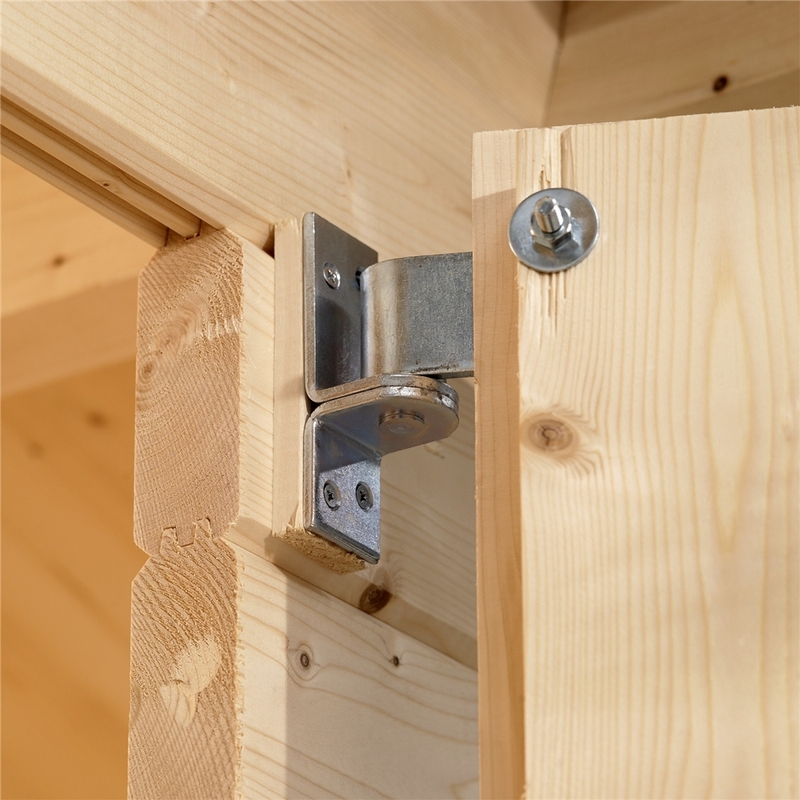 Although an outside product the wood should be treated or kept dry during the construction process. 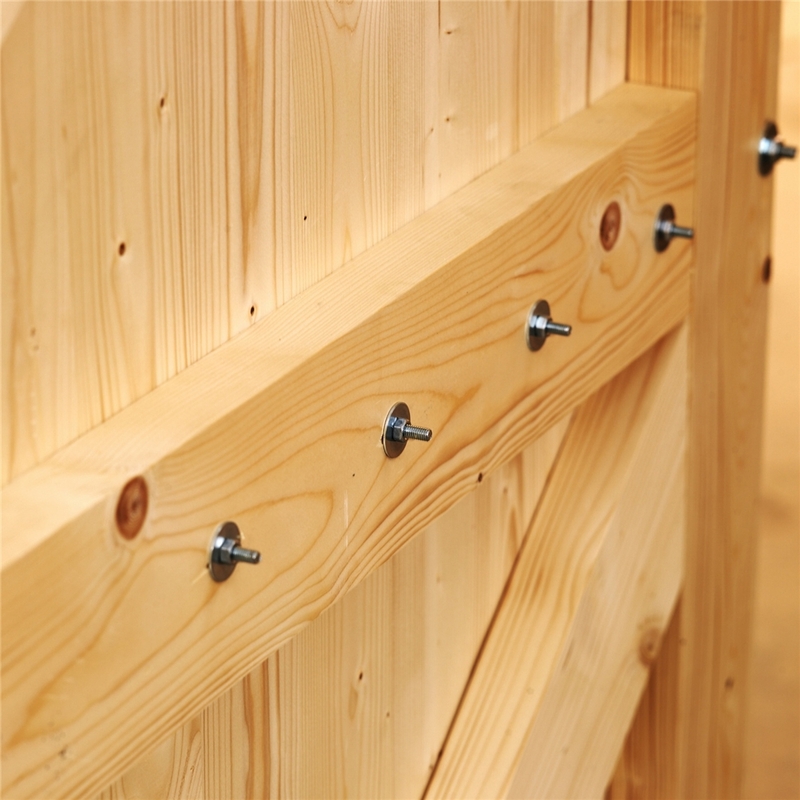 We recommend that any exposed timber is covered immediately after delivery to avoid any blue stain issues. 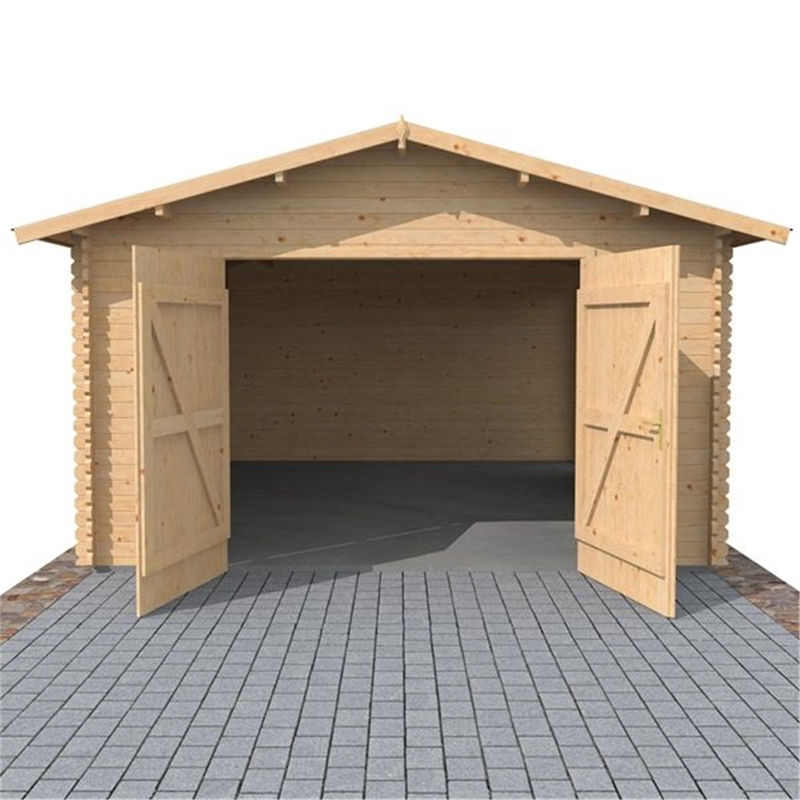 The garage should be constructed on a firm level base whether that is solid sheet concrete, concrete slabs or tanalized bearers. 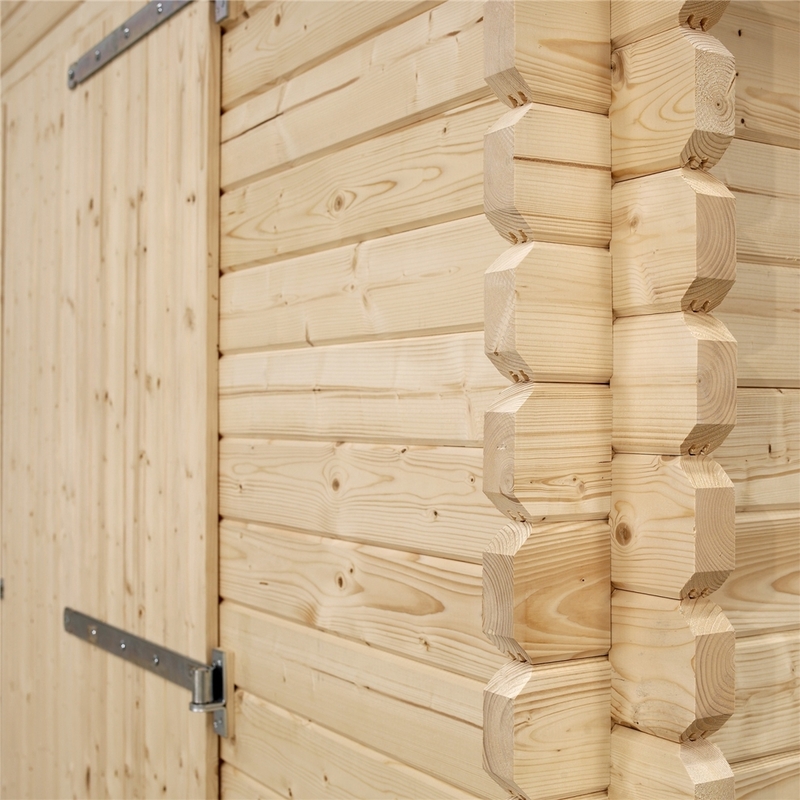 Your building has been pre-treated with a timber preservative treatment but we do recommend that a further treatment is carried out following constructions to prolong the life of your building. 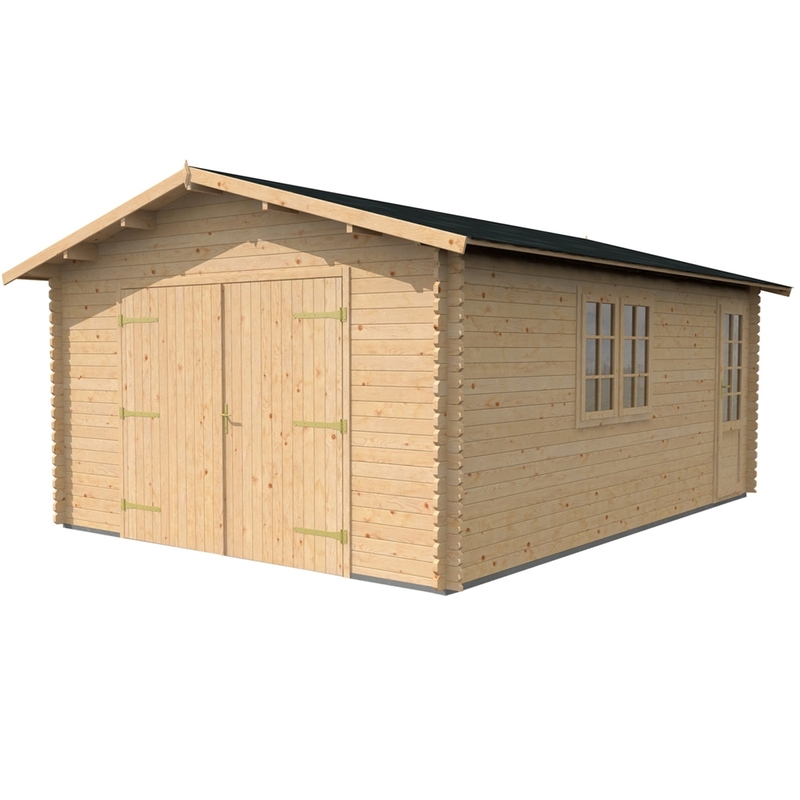 The treatment will protect your building for approximately 6-8 weeks giving you plenty of time to prepare your base and erect your building.